We want to help build a heritage for biblical preaching here in Aotearoa-New Zealand. While open to others, we want to wrestle with the place of preaching within this country. We want to struggle with the questions and not merely find the fast-track to simple and shallow answers. We want to include people from across the generations, the cultures and the genders of this land and people. 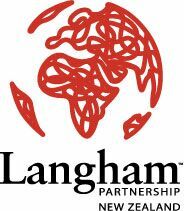 The site was commissioned by Langham Partnership (New Zealand) at the time that Paul Windsor was appointed to the international staff team of Langham as the Associate Director (Langham Preaching). Paul works with others to ‘change the culture’ of preaching in the countries of the majority world. It was this passion and vision which drove the idea to work with others to do the same in New Zealand. In 2012, Geoff New was approached to take over the leadership of kiwi-made preaching. 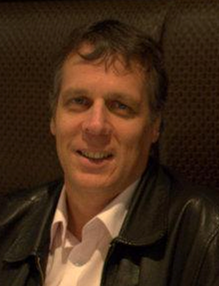 Geoff was the minister of Papakura East Presbyterian Church (1997-2015). His Doctor of Ministry (through the Australian College of Theology) thesis explored the effect of using Ignatian Gospel Contemplation and lectio divina in sermon preparation. He lectured in preaching for 5 years at Laidlaw College (2002-2006). He commenced as director of kiwi-made preaching in 2012. He also has responsibility for the Langham Preaching work in North-East India. In 2015, Geoff was appointed Dean of Studies at the Knox Centre for Ministry and Leadership. He has a regular column (The Voice: from text to life) in the theological journal Stimulus. In 2015, his thesis was published by Langham Literature. It is entitled “Imaginative Preaching: praying the Scriptures so God can speak through you.” You can purchase a copy ($20 + P & P) by emailing geoffnew@xtra.co.nz. He is married to Ruth and has three adult children; Rebekah (married to James), Josiah and Luke. Please visit the various features of this site. There will be a team of 25 contributors from around the country posting short articles weekly on which you are welcome to comment. There will be a range of resources which will gradually accumulate, along with samples of fine sermons. There will be a calendar of upcoming events related to preaching. There will also be an ‘images that speak’ feature where photos will be posted and you are invited to suggest truths which they illustrate. So… there is plenty planned that will have you wanting to come back for more!